Rupert Brooke in uniform, at Blandford, Dorset. 1914. Print by W. Hazel of Bournemouth. We are pleased to announce that the Archive Centre has been awarded a grant of £2,797 by the Friends of the National Libraries towards the cost of digitising significant parts of the Schroder collection. 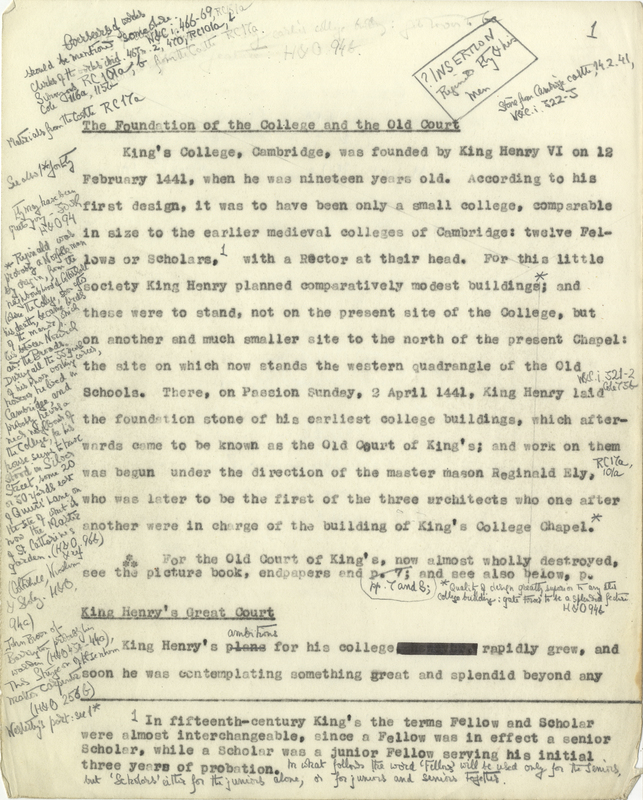 These papers are thought to have been the largest collection of Rupert Brooke archives to be held privately until we purchased them in 2015, with grants from the National Heritage Memorial Fund and the Friends of the National Libraries, as well as further donations by friends of the library through the Munby Centenary Fund. The Schroder papers now form a series within our main Rupert Brooke collection. The fact they were acquired so much later than the rest of the collection means they still hold considerable potential for original research, having only been seen by privileged biographers before they came to King’s. Most of the items selected for digitisation are correspondence between Rupert Brooke (RCB), Edward Marsh (RCB’s friend, literary executor and biographer) and William Denis Browne (RCB’s friend and a young composer, who died at Gallipoli only days after burying RCB). A famous letter RCB wrote to Lascelles Abercrombie (possibly the last thing RCB ever wrote), RCB’s attaché case and Denis Browne’s personal effects will also be included. The material will be digitised by the Cambridge University Library and shared online through their Digital Library, where it will sit alongside such interesting collections as the personal papers of Siegfried Sassoon. The Archive Centre will create metadata (essentially, adding further details to our catalogue, including listing individual letters within guard books) to be added to the images, making them easier to search. We hope to do this with the help of volunteers, who will be properly trained and have a wonderful opportunity to gain some experience of working with archives. The in-house aspects of the project will be led by Peter Monteith (Assistant Archivist), who developed the education resource ‘Introduction to Archives: Rupert Brooke’. If you would like to offer some of your time to assist in the creation of metadata for this new digitisation project, please contact archivist@kings.cam.ac.uk. on the King’s College Bridge, by Robert Le Rougetel in 1965. 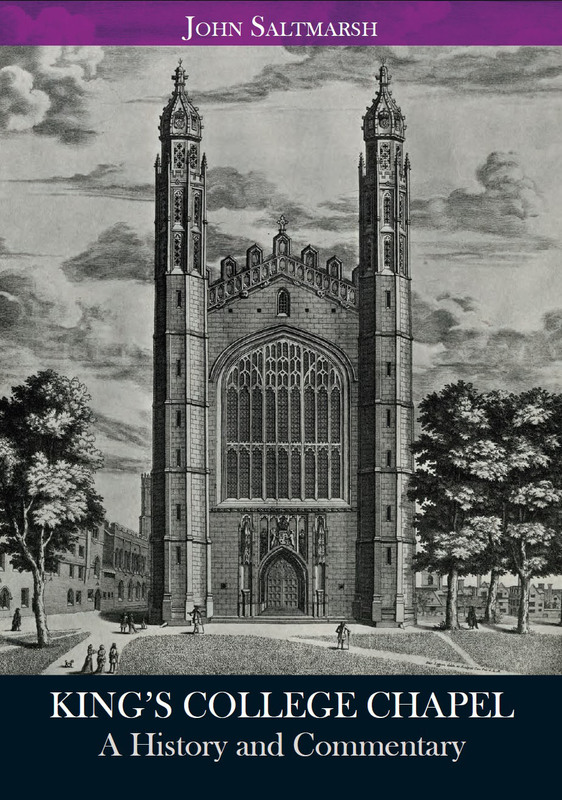 When John Saltmarsh (historian, archivist and Vice-Provost) died in 1974, he left behind unfinished but quite remarkable manuscripts for a book entitled ‘King’s College Chapel: A History and Commentary’. The book has been co-edited by Bert Vaux (Fellow and Graduate Tutor) and me (Peter Monteith, Assistant Archivist) and was launched on Friday (6 November). 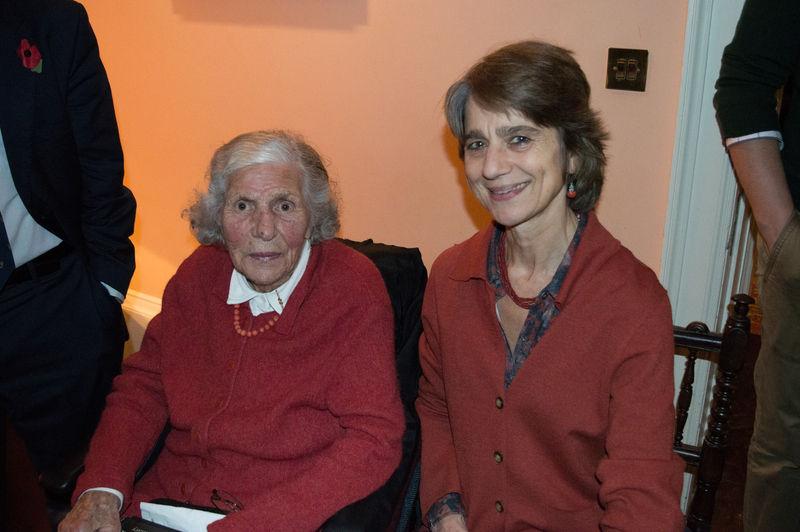 Our launch was a fairly modest event with around thirty guests, including Saltmarsh’s relatives, Fellows and a few other individuals whom we wanted to thank for their part in the publication. This publication is part of the College’s celebrations of the 500th anniversary of the completion of the stonework of the Chapel; however, we felt it was important that this event was also a celebration of John Saltmarsh’s life and work. A page from the manuscript of the commentary. When our guests arrived, they came to the Archive Centre to see an exhibition on ‘John Saltmarsh and the Chapel’. 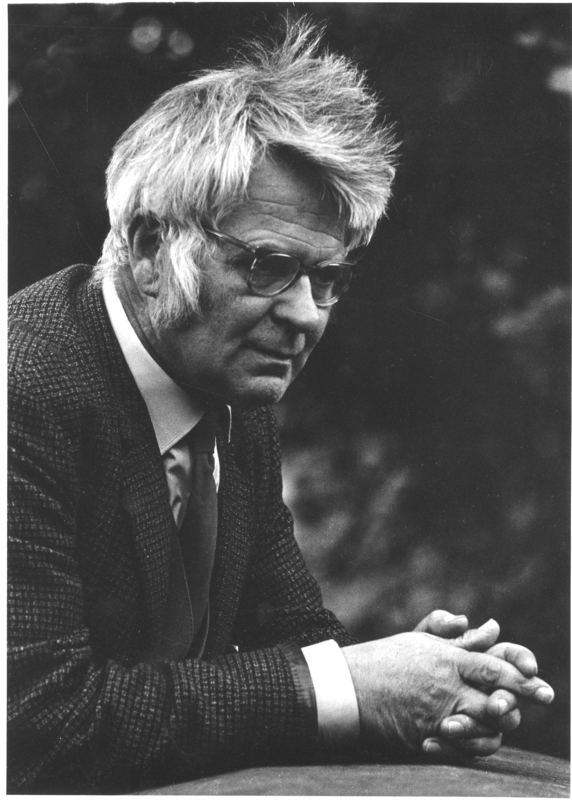 This exhibition included records relating to his youth, the various roles he held at King’s, his work as a historian and his work on the Chapel. The guests had the opportunity to greet each other, as they admired the beautifully written medieval building accounts used to great effect by Saltmarsh while writing his Chapel book. A few of John Saltmarsh’s relatives at the exhibition. They had just been looking at the chapel building account for 1508-9. After this, we all headed over to the Chapel, where we sat in the Fellows’ stalls. Andrew Hammond (King’s Chaplain) led a wonderful Evensong and our guests had the opportunity to hear the College’s famous choir. Then we went to the Saltmarsh suite, where Rob Wallach formally welcomed our guests, and paid tribute to John Saltmarsh. Bert and I took the opportunity to thank our guests for all of the support they have shown us throughout this project. 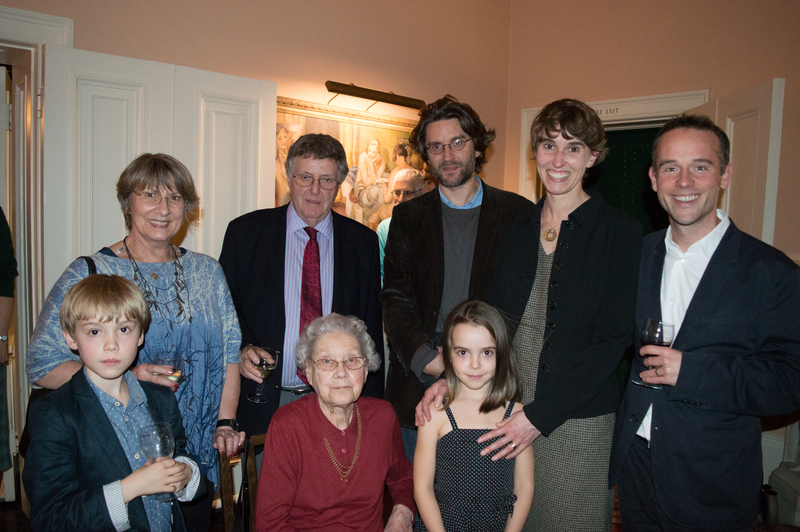 The Saltmarsh family seem very close, with four generations being present at the launch. We heard wonderful stories about Saltmarsh. He has a reputation as a ‘notable Cambridge eccentric’. The stories supported that view but showed the warmth he had for others and how keen he was to share his knowledge of local history. Back (l-r): Vicky and Henry Saltmarsh, their son Nick and daughter Anna, with Anna’s husband Richard Hartshorn. Front: Anna and Richard’s children Harry and Hebe, with Violet Saltmarsh, their great great aunt and John Saltmarsh’s sister-in-law. We were also pleased to welcome Lilah Wayment, who had kindly allowed us to print her husband Hilary’s report on the manuscript. Shortly before he died, Saltmarsh had told Hilary Wayment (an expert on the Chapel windows) about the manuscript so the report, along with one written by Saltmarsh himself, sheds light on the story behind the book. Lilah Wayment (left) with Henrietta Ryan. For further details on the book, please visit the ‘Saltmarsh’s Chapel Book’ webpage. The book can be purchased from the College’s Visitor Centre, on King’s Parade, or online. It is fair to say that some of King’s College’s most famous alumni have inspired others. 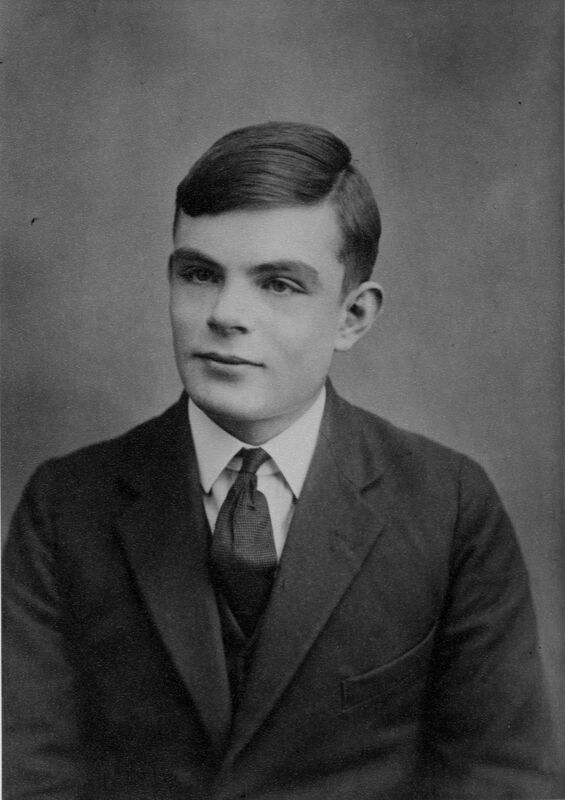 One of the most influential must surely be Alan Turing, who is popular with both mathematicians and computer scientists. Some indication of the answer to this might be found in his papers at the King’s College Archive Centre, the catalogue of which can be seen on Janus. When he was just 15½ years old, Turing wrote a precis of The Theory of Relativity by Albert Einstein. 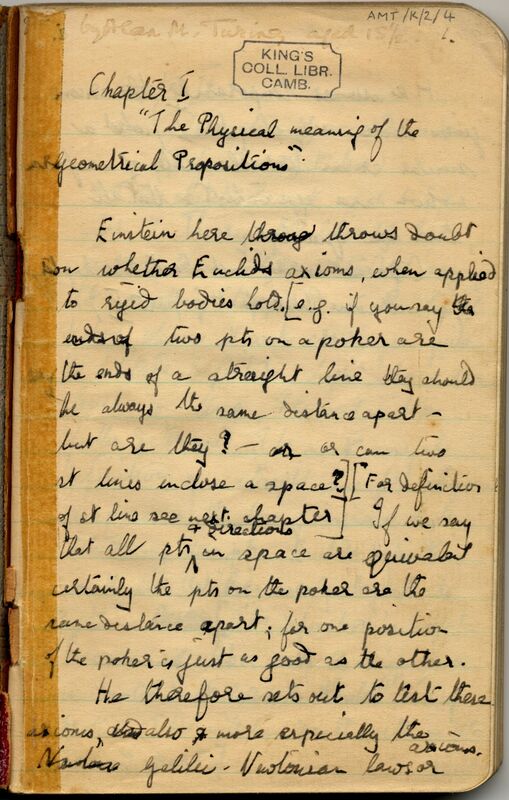 In this small memo book, he produced summaries for each chapter of Einstein’s famous work. He did so with the intention of explaining it to his mother. 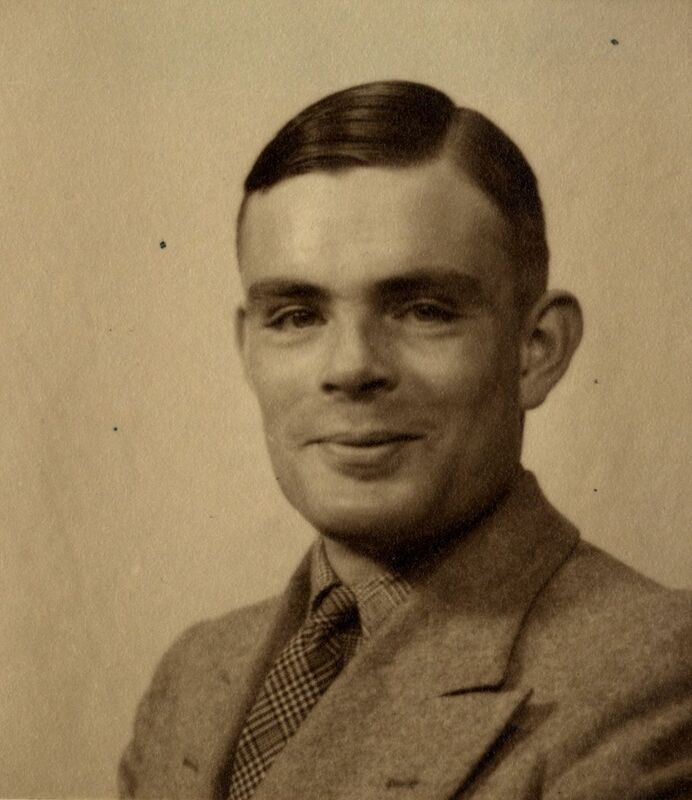 To see scans of these and other documents held in the papers of Alan Mathison Turing, visit the Turing Digital Archive or make an appointment to visit the original documents at the Archive Centre. 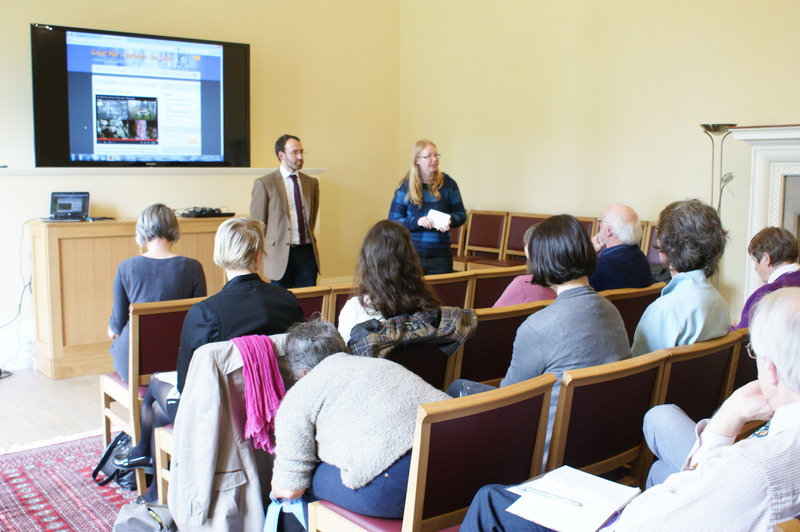 On Friday, King’s College was pleased to host the Archives and Records Association (ARA) Eastern Region’s latest event, ‘Reaching New Audiences’. The ARA is the professional body for archivists and related professions, with regional committees and special interest groups. The archival research skills the website teaches to A-level students, as well as bright and motivated GCSE students. The skills I had to develop in order to ensure I reached that audience successfully. My approach to the latter included producing a smaller Rupert Brooke-related online resource on the My Learning website, working with young volunteers and working with our School Liaison Officers to deliver a programme of day-long school visits and ‘residentials’ (where students from all over England were also able to spend a night in College and experience Cambridge life). Then, Sally-Ann Greensmith spoke about her work on the involvement of Cambridgeshire Archives and Local Studies in the Cambridgeshire Community Archive Network (CCAN) project ‘The Great War – Between the Lines’, which also culminated in the creation of a website. This was a very different, though complementary, project. Her talk, entitled ‘The Great War Between the Lines Project – an allied effort’, focussed on the challenges and benefits of partnership working. This project was part of a larger programme which included 16 partners from France, Belgium and the UK. The project was intended to pool our knowledge of the War and raise awareness of it, ahead of the centenary. Local newspapers were indexed. Touring exhibitions were created by six of the partners, with copies in appropriate translations available to all partners. Walking, cycling and driving routes were created. There was also a significant ‘Last Day of Peace’ event, featuring musical performances, re-enactments, vintage cycles, a military hospital and a display by the St Neots museums. This project showed some of the exciting ways heritage organisations can collaborate to engage communities. Sally-Ann and I were then asked questions on our projects. These included such issues as copyright in the King’s College project and working with international partners in Sally-Ann’s project. 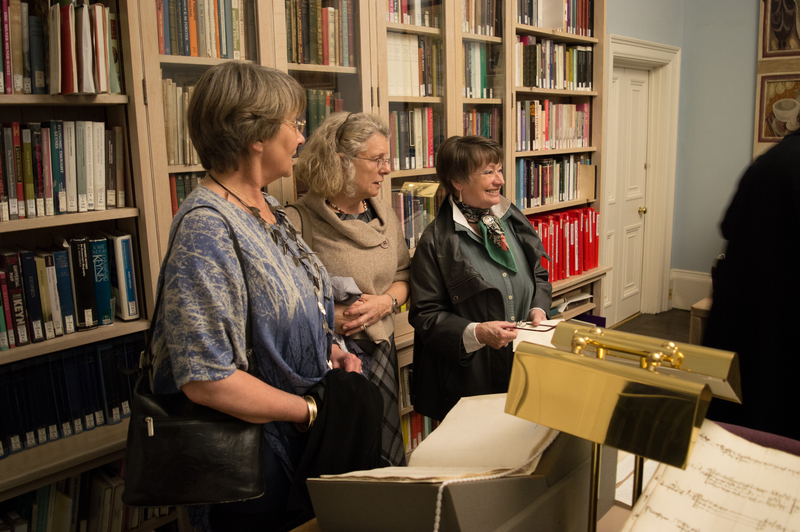 The delegates were then taken to the King’s College Archive Centre, where they were able to see an exhibition of the papers of Rupert Brooke in the reading room and small groups were shown the Muniments room (one of our strong rooms, in which the College archives are kept). The exhibition was almost identical to that shown during the school visits, however, we were able to add a few items from the recently acquired Schroder collection, including Rupert Brooke’s attaché case. At different times, items 1, 2 and 5 have been referred to as the ‘Foundation Charter’, although the true foundation charter is item number 1. Subsequent documents served to alter plans for the College, particularly enlarging it, and to endow it with further lands. Aside from the vital function these documents serve for King’s College, they are also noteworthy due to their decoration and illumination. The first document (above) is noteworthy as a fine example of strapwork. Here, the intricate decoration of the capital ‘H’ at the start of ‘Henricus’ includes buckles. According to an essay by Elizabeth Danbury (1989) in England and her Neighbours , strapwork first appeared in royal charters in the late 1430s and early 1440s, meaning that this and comparable royal grants to Eton upon their foundation (at the same time as King’s College) are early examples of this form of embellishment. Embellishment of the initial letter of the King’s name is common in royal charters, though styles varied over the years. 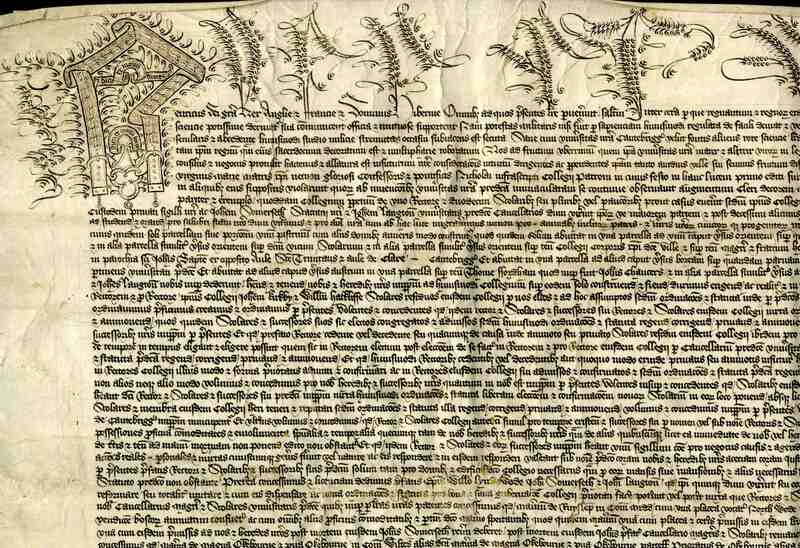 Perhaps even more striking in its decoration is the fifth item, the Charter upon Act of Parliament, 16 March 1445-6 (KC/18). The Charter upon Act of Parliament confirmed the Founder’s earlier gifts and gave additional privileges to the College. The importance of the document is immediately obvious due to the size (approx. 99cm by 72cm), the wide margins, and the symbolism on the bottom-most of the large sheets of valuable vellum. 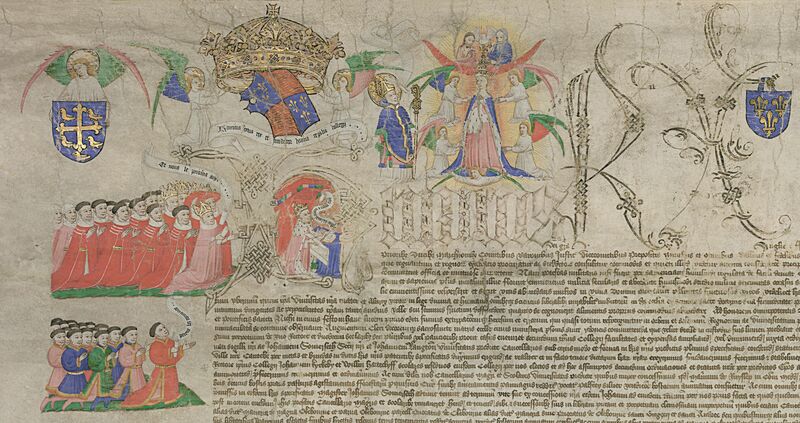 These are joined at the lower edge and when one turns to the first sheet, which is actually at the bottom, one finds a striking illumination which depicts the purpose of the document and celebrates Henry VI’s generous gift. It also gives a visual commentary on British politics at the time. A group of miniature figures around the initial in the top left corner of this sheet represent the granting of the charter in Parliament. The figures kneeling in the left margin are the Commons and the Speaker, who bears a scroll. Above them, the Lords are depicted. They look towards the King, showing that even they are subordinate. Once again showing the importance of the initial in royal charters, the King appears kneeling at the centre of the initial ‘H’ in ‘Henricus’. Again, we see excellent strapwork. Above the Founder, angels carry his crown and the arms of England and France. Further angels carry the arms of St Edward the Confessor and St Edmund the Martyr, at the far left and right respectively. Above ‘Henricus’ are the patron saints of the College: Our Lady and St Nicholas. At the upper edge, just above Our Lady, the holy Trinity look down. 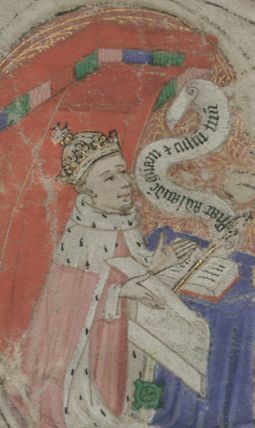 Thus a hierarchical endorsement of the Henry VI’s foundation is depicted, from the House of Commons and the House of Lords below the Founder to the Lord above him. Unusually, we know who created the wonderful illumination seen in this item. His name was William Abel. The Audit Roll of Eton College for 1447-8 (Eton College, ECR EA.3, m.9) includes a payment of 26s. 8d. 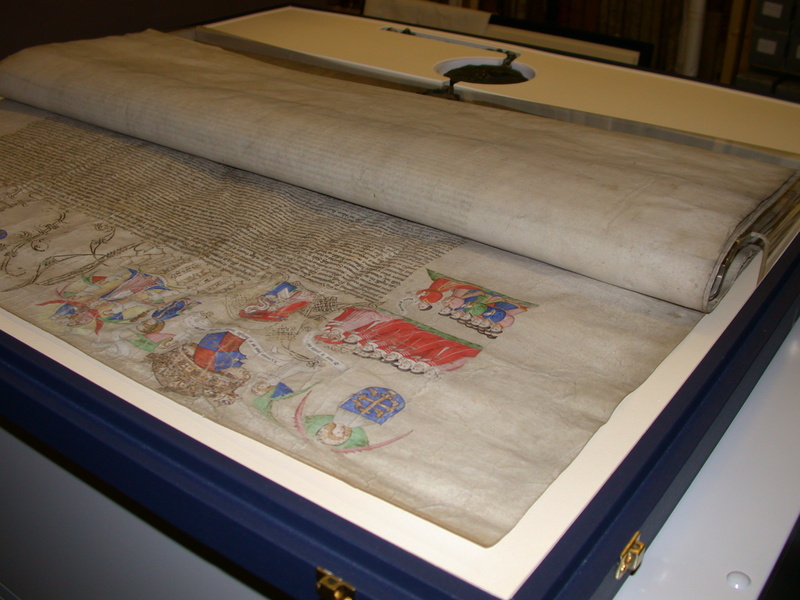 for the illumination of their consolidation charter of 5 March 1446 (Danbury, 1989), which serves the same purpose as, and looks very like, the Charter upon Act of Parliament which he illuminated for King’s College. 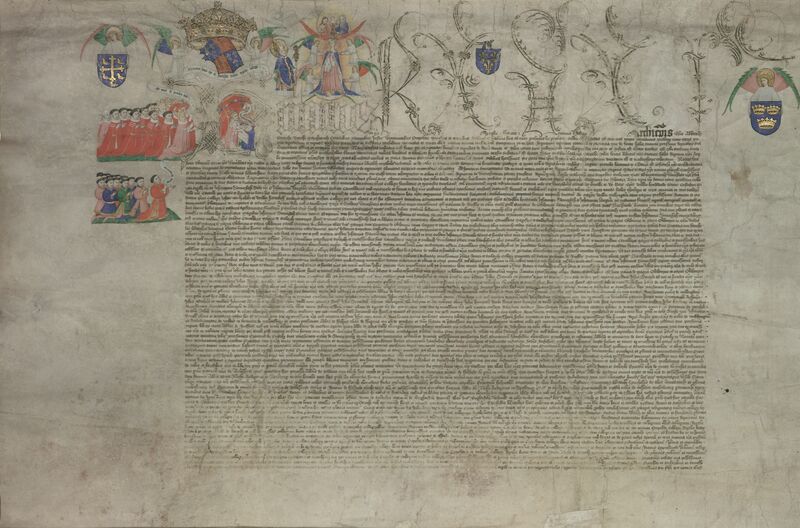 Images of the Charter upon Act of Parliament, 16 March 1445-6 (KC/18) courtesy of DIAMM.